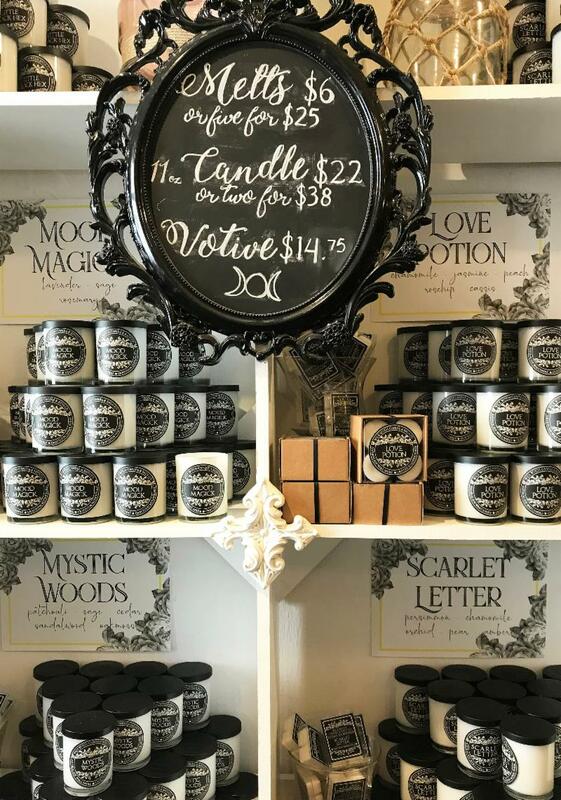 MERRICKVILLE - The Wick Witch Candle & Bath Company will "Cast a Spell on your Sense of Smell." This small-batch apothecary is making big on its spring product launch with bright and fresh scents like Tropical Temptress, Summer Solstice and Lavender Mint, to name just a few. "It keeps things fresh and keeps people coming back," says owner Lianne Kulp-Aultman of why her shop has a special launch with each new season of the year. "It's really nice to see that your community is behind you and for us to help own community at the same time." 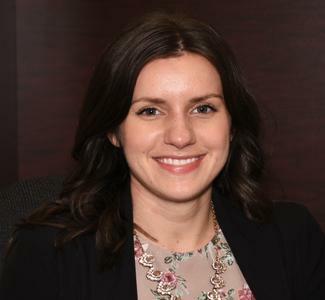 Lianne and her team held a well attended spring-summer pre-launch event, which raised funds for the Merrickville area Emergency Food Cupboard. The sparkling shop now has the newest seasonal scents, including citronella candles, luxury whipped soaps, body butter, body mists and scent rollers and all are made in-house. "We're busy all year round because we make everything here. We ship across Canada, to the U.S. and Europe," says Lianne. As the creator of Wick Witch's 28 scented blends, she carries around a notepad in case she thinks of a new scent combo or a new product name. Lianne has deep family roots in Merrickville. Her great grandmother read tarot cards. 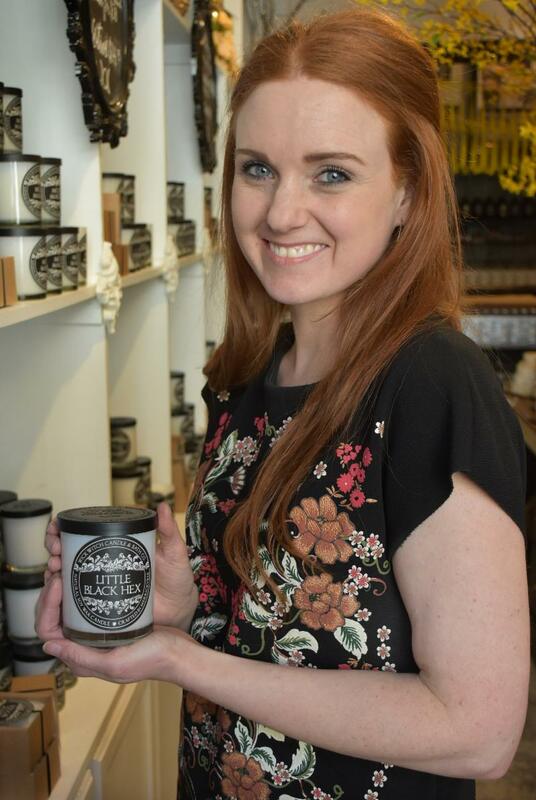 Lianne and her sister Sarah initially started making scented soy candles because they couldn't find them locally. They became known for their drying herbs and potions and the "witch theme" was born. Soon they were selling candles off their front porch. "We had stores carrying our products before we even had a shop," says Lianne. 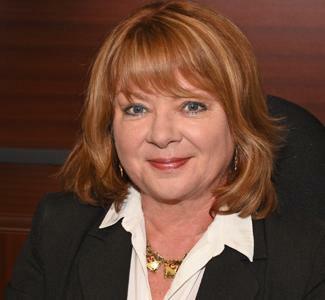 She first opened a store in Perth until one became vacant in Merrickville in 2011. The Merrickville store expanded within 2 years. 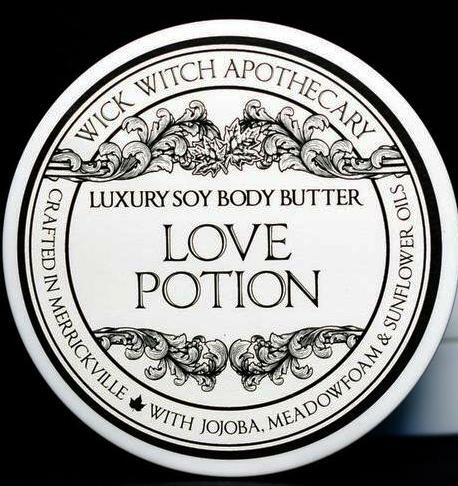 Today Wick Witch products are sold in 18 eco-boutiques from Halifax, Nova Scotia, to Victoria, B.C. Online sales are going well too. A goal of Lianne's is to expand her product lines even further. "If you're going to be successful, you have to be passionate about it. I am. 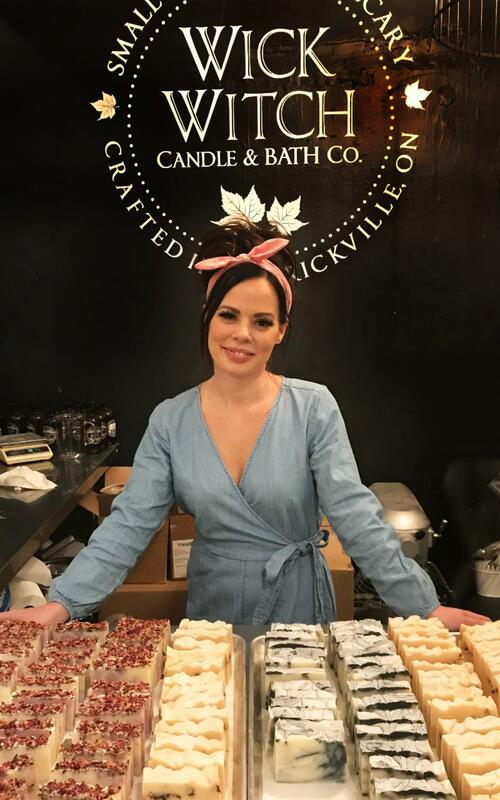 If I didn't have a shop, I'd be doing it anyway for family and friends," says Lianne, adding she loves coming to the shop each day where creativity flourishes and her product scents help create a warm, earthy atmosphere. "I'm also blessed to have great staff." Learn more about Wick Witch by visiting their website and Facebook page. See their Instagram account. The shop is located at 108 St. Lawrence Street in Merrickville. Give them a call at 613-665-1905. 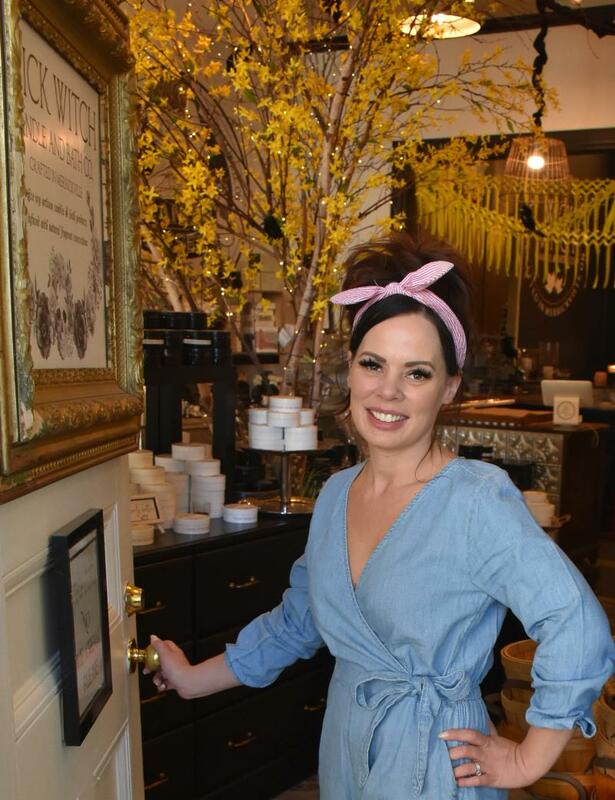 Top feature photo: Wick Witch owner Lianne Kulp-Aultman opens the door on Made in Merrickville fragrant oils and soy wax. Below: Manager and online coordinator Ashley Bowick. Rideau Lakes Township business awards were received by, from left to right, Jason Jamieson and Hugh Colton from Hinton Auto Group, Crystal Scott, Director of day care for the Elgin & District Cooperative Nursery School, and Entrepreneur of the Year Mark Hales of Hales Excavation & Trucking Ltd.
MORTON - Three Rideau Lakes businesses are being recognized in the township this year. 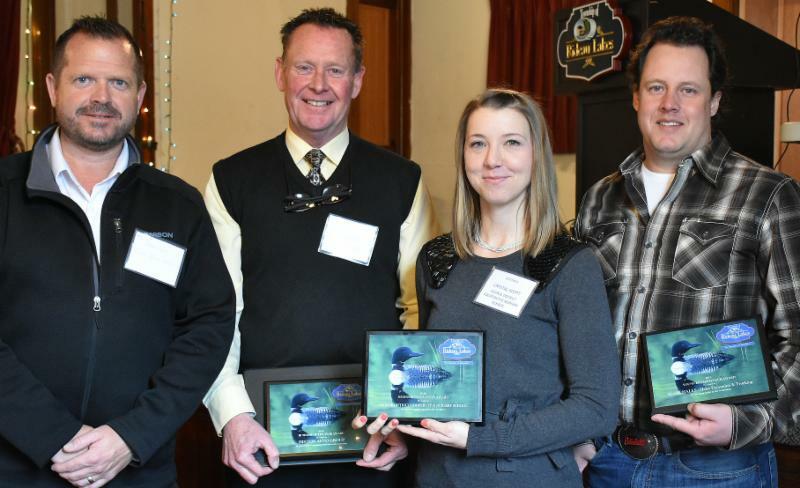 The Hinton Auto Group was named Business of the Year by the Rideau Lakes Economic Development Committee. 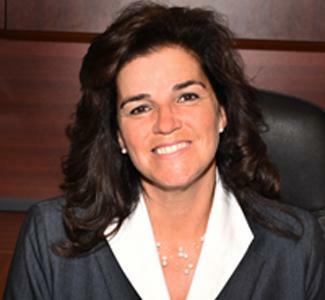 The company has demonstrated a commitment to the community and its residents, while displaying strong ethics within the business community. "Our business is about people," said Hugh Colton, Hinton's community events and promotions representative. He accepted the award along with Jason Jamieson at the Business Recognition Breakfast at the Morton Community Hall on April 5th. The company employs over 100 people and has been selling and servicing vehicles in Rideau Lakes since 1975. The Elgin & District Cooperative Nursery School earned the Business Innovation Award. The non-profit school has been in operation for 40 years and will soon open a full-time licensed childcare centre in Elgin. The recipient of the Young Entrepreneur Award is Mark Hales of Hales Excavation & Trucking Ltd. in Newboro. This award honours hard work by a young entrepreneur under the age of 35.
Business of the Year nominees included Millcreek Scoops Ice Cream & Candy Shop, Rideau Docks, TS Computing, Rideau Lakes Cottages, Scotland Funeral Home, Rideau Tours, Leeds Transit and Rideau Valley Landscaping and Supplies. Innovation nominees included Wendy's Country Market and Elgin Drugs. Young Entrepreneur nominees were Elizabeth Okum of Ethereal Massage Therapy, Brock Tye of Extreme Landscape and Construction and Josh Ross from Millcreek Scoops. Learn more by visiting the Rideau Lakes Business Recognition Awards webpage. 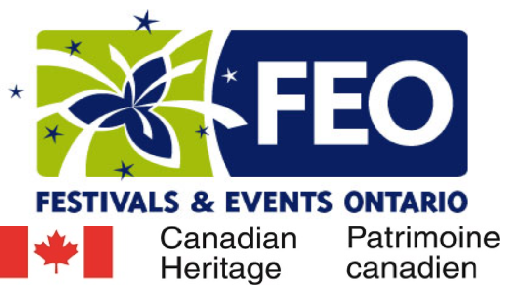 There are funding opportunities for your Festival or Event with the Building Communities through Arts and Heritage (BCAH) program at the Department of Canadian Heritage. The BCAH program intake is now open for events taking place between January 1, 2020, and June 30, 2020. Prospective clients will be able to submit their applications through the Canadian Heritage website. 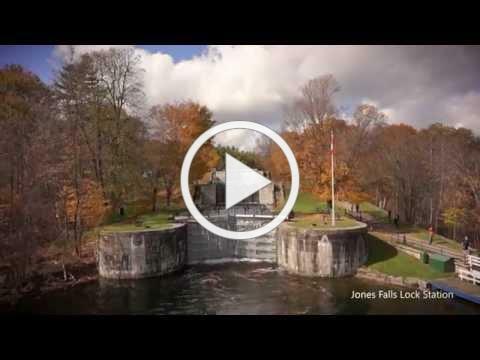 Learn more on the Building Communities Through Art and Heritage webpage. 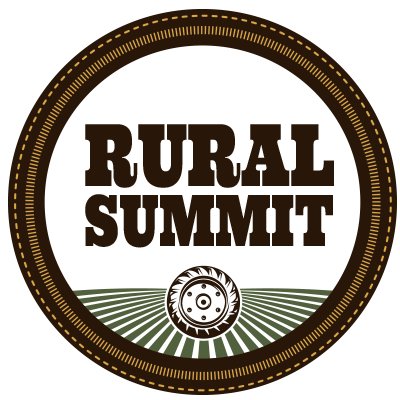 KEMPTVILLE - Tickets are still available for the North Grenville Rural Summit this Friday. This is an opportunity to learn, share and network with local farmers, business owners and related industry professionals. You will walk away with fresh, practical ideas and tools you can use right away to build a business that can support you and your family. COST: $65 for the educational event at Parish Hall on Friday and half of the day Saturday; $30 for the agri-food tour on Saturday; The Tradeshow on Friday is free at the WB George Centre on campus. For more information about the summit and trade show opportunities, email Angie. Visit the website to stay informed about what is happening at the event or to register. Join Elizabeth Cleland of Impact Hub Ottawa and Josh O'Reilly of Invest Ottawa as they cover the basics of social enterprise. This workshop is for the entrepreneur who: Wants to know what makes you a social enterprise; Wants to learn the difference between a social enterprise, certified B Corps and corporate social responsibility; Wants to understand the importance of social impact measurement; Is looking for resources available to social enterprises. 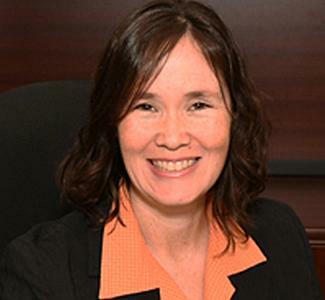 Lynn Marsh of HealthyBOOKS, leads this seminar designed to advise business owners about how to set up accurate record-keeping systems and establish efficient work flows to augment their business's bookkeeping and accounting needs. Information being covered includes topics such as the Difference between an accounting firm and a bookkeeper; Accounting software; App Solutions; HST; Payroll; WSIB; Banking and credit cards for business. Learn more or to register visit our ﻿Workshops and Seminars page.